This is the Carzone.ie guide to buying a used Land Rover Discovery. The Land Rover Discovery was originally conceived as an upmarket model that, nevertheless, wasn’t as premium as its own Range Rover product. To that end, the original Discovery used Range Rover underpinnings, but was priced at a lower level, in order that the Discovery could see off Japanese brands, at first, and then later German machines. In 2004, an all-new, heavily squared-off Discovery 3 was launched, which featured a monocoque construction for the passenger compartment and engine bay, which in turn was mated to a traditional 4x4 ladder-frame chassis for the transmission and suspension. This Integrated Body Frame (IBF) set-up, said Land Rover, allowed the Discovery 3 to have all the virtues of both SUVs and tough 4x4s, although it did make the vehicle very heavy. 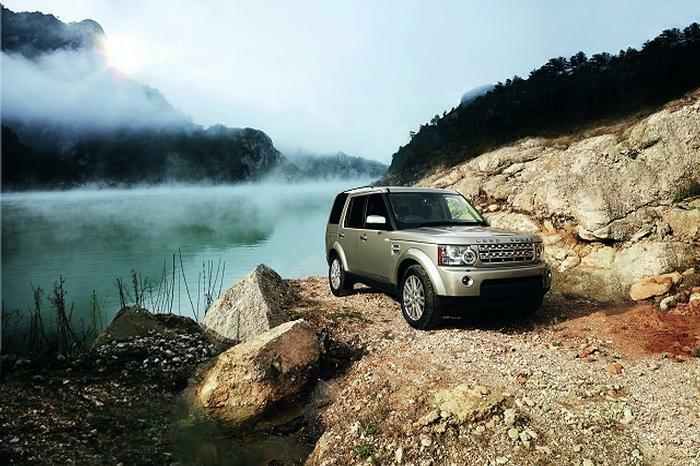 In 2009, the Discovery was significantly facelifted, outside and in, and given new engines, transmissions and technology to become the Discovery 4. It’s this model we’re focusing on here. The Discovery 4 is very simple to understand here in Ireland: in the main, it only came with one engine, the 3.0-litre twin-turbo V6 diesel. This delivered either 211hp/520Nm in the versions badged TDV6, or 245hp/600Nm in the SDV6 (2009-2011) – this latter model being uprated to 258hp from 2011 onwards. Very early 2009 and 2010 Discovery 4s can be found with the older 190hp/440Nm, single-turbo 2.7-litre V6, but these are extremely rare – as are models fitted with the manual gearbox, as the overwhelming majority of Discovery 4s will be equipped with the earlier six-speed automatic transmission, or (from 2014 onwards, timed to coincide with a mild facelift of the SUV) the eight-speed automatic. Discovery 4s can be found in five- or seven-seat configurations, the former often as a commercial vehicle – there was also a two-seat commercial version sold here, which is often spotted on the used market. Trim lines ran XS, XE and then HSE, with a well-specified Business Edition also available for a period of time. The construction of the Land Rover Discovery 4 makes it a very heavy SUV for its class, tipping the scales at around 2.5 tonnes unladen, so you want the most power you can get. Try and bag one of the later SDV6 variants, then, with the 258hp engine, meaning any version built between 2012 (for the avoidance of doubt as to whether you’re getting a 2011 model that still has the 245hp motor) and 2016. Higher specifications like HSE will make the Land Rover feel its most luxurious and rewarding. When the smoothed-off Land Rover Discovery 5 appeared in 2017 to replace the Discovery 4, a lot of loyal Land Rover owners were up in arms. The aesthetic of the new one, which only vaguely harks back to the earlier models, was not well-received, especially not the offset rear number plate. As a result, Discovery 4 sales and used values remained strong, and that’s still the case today – this is seen as the last of the ‘classic’ Discovery models. It has enough modern tech onboard to feel like it’s still a prestige SUV and used prices are not too OTT, so buying a Land Rover Discovery 4 has never made more sense than it does right now.